The SMART, San Miguel Authority for Regional Transportation, the ballot initiative to create a regional transportation authority, was passed by regional voters on November 8, 2016. SMART service can include bus service, shuttles, trails (for commuting), roads, and related transit infrastructure, such as park-and-ride parking lots. Approval of the SMART ballot measure created a new special Regional Transit Authority, similar to our local school, library, fire, and hospital districts. The SMART Board of Directors is made up of elected officials from San Miguel County, Telluride, and Mountain Village. Citizens and business stakeholders are encouraged to participate on SMART advisory committees. SMART is funded through a combination of a 0.25% sales tax on all purchases with the exception of residential utilities and food for home consumption (1 cent on every $4) and .a 75 mill levy. Representatives and leaders from Mountain Village, Telluride and San Miguel County have been meeting regularly in recent years to explore ways in which they can work cooperatively to provide regional transportation options – today and in the future – to the community at large. For more information, visit SMART’s website. Improve state and federal grant opportunities. Have a more mobile workforce. SMART will provide consolidated, focused leadership for regional transportation-related services. SMART will create separate political subdivision or body corporate of the state. SMART encompasses all modes of transportation and related infrastructure including trails, buses, commuter vans, parking and related facilities and the gondola post 2027. As proposed, SMART only includes Mountain Village, Telluride and a portion of San Miguel County. The towns of Norwood, Ophir and Sawpit will not be initial members. Enhanced public transit will reduce vehicle traffic and emissions, and reduce pressure on parking. Transit helps workers and businesses. The revenue of $1.3 million from the proposed sales and property tax will not be sufficient to cover extensive future transportation needs. The use of both sales and property tax spreads the burden to both visitors and commercial and residential property owners. Residents that do not support public transportation will pay taxes equally that fund SMART. If approved, SMART will be a “Regional Transportation Authority” (RTA), the formation of which is authorized by the State of Colorado. Membership in a RTA is comprised of local governments with the Board of Directors made up of elected officials. Citizens and business stakeholders can participate on SMART advisory committees. Approval of the SMART ballot measure will form a new governmental entity, similar in structure to local school districts, library districts, fire districts, hospital districts, etc. The State allows all forms of transportation to be included in a RTA such as pedestrian trails, shuttles and buses, aerial tramways, rail, roads and transit-related infrastructure including parking lots, bus stops and maintenance facilities. SMART would not include air transportation. SMART will bring public transit providers under one umbrella of leadership for coordinated planning and implementation of transit services and infrastructure. If approved, SMART will provide regional transit with permanent designated funding through the proposed sales and property taxes. SMART will expand local leverage for state and federal transportation grants. The Colorado Legislature repealed the ability to utilize property taxes as a funding measure for RTAs effective on January 1, 2019, giving some urgency to this decision. Transit helps reduce traffic and demands for parking. Fewer vehicles mean improved air quality and reduced greenhouse emissions. Transit plays an important role in our economy, bringing our workforce to their jobs and guests to our community. Transit provides mobility for our whole population including youth, workers and seniors. 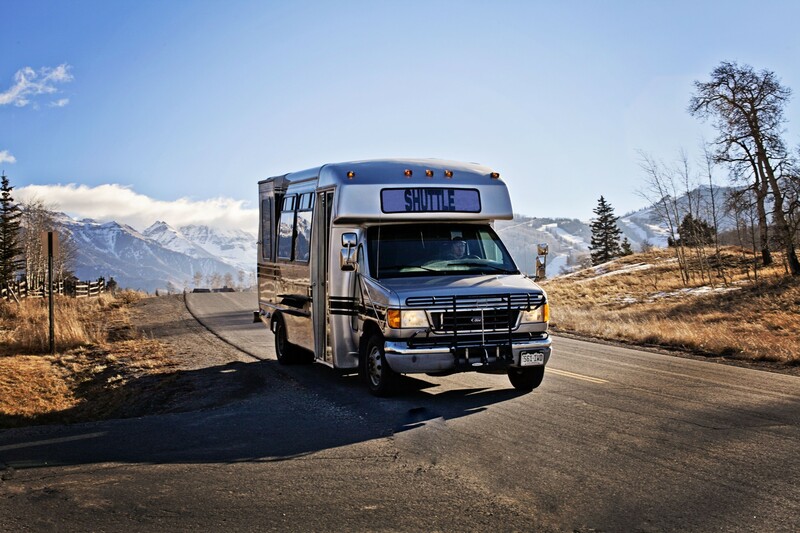 Transit provides a visitor amenity for the towns of Telluride and Mountain Village. 03. Where are the boundaries? SMART boundaries will match the Telluride R-1 School District. The legal boundaries of SMART will include roughly the area of the eastern portion of San Miguel County. The towns of Ophir and Sawpit are not proposed for preliminary SMART inclusion. The area served by SMART extends beyond its boundaries. Transit can serve any area that is considered important for workforce, recreational and human service needs. For example, public transit services are currently provided to the Norwood area and to locations outside the county such as Cortez, Montrose and Ridgway. The initial SMART membership includes the current transit providers in this area – Telluride, Mountain Village and San Miguel County. The goal is to “start small” and work toward other member jurisdictions in the future. 04. Who will be impacted and how much will it cost? All property owners within the boundaries of SMART will be impacted by the proposed property tax mill levy (.75 mills). A .25 percent sales tax will be paid on all retail sales taking place within SMART boundaries with the exception of utilities and food for home consumption. Ophir and Sawpit are currently not included in the taxation district. An example of the sales tax impact is for every $10 retail sale, $.025 of tax will be charged. The .75 mill ad valorum tax levy will be $5.97 for every $100,000 of value on residential properties and $21.75 per $100,000 of value for commercial properties. Estimated revenues for the first year (2017) of SMART sales and property tax are $1.3 million. Approximately $700,000 will be generated from the .25 percent sales tax and $600,000 from the .75 mill property tax. Current transit spending by all governments is about $416,000. 05. Who will vote on the SMART measure? Qualified electors residing within the towns of Telluride and Mountain Village and in unincorporated portions of San Miguel County (Placerville to Lizard Head Pass) will have the opportunity to vote on the formation of SMART and associated taxes on November 8, 2016. In Mountain Village, qualified electors who are non-resident property owners have the right to vote in municipal elections. These voters will have the right to vote on the proposed SMART taxation question, but not the SMART formation question (pursuant to the State RTA statute). Mountain Village will have two ballot measures, one for the resident registered electors concerning SMART formation and taxation, and one for the non-resident property owners who are registered electors concerning only taxation. 06. What happens if voters of one jurisdiction do not approve their measure? The goal is to move forward with all three jurisdictions. The SMART Intergovernmental Agreement stipulates that if a measure is not approved by the voters of one or more of the jurisdictions, the other member(s) may withdraw from formation. 07. What specific services will be covered by SMART? The SMART Intergovernmental Agreement provides an Initial Service Plan (Appendix D). One of SMART’s first orders of business will be to prepare a comprehensive long-range plan and vision for public transit, trails and related infrastructure. Initially SMART will provide ground service between towns and population centers. These include existing or expanded services between Telluride and Mountain Village and Wrights Mesa-Norwood, the Lawson Hill Subdivision and Down Valley-Placerville. Commuter shuttles and van pools will also be transferred to SMART. 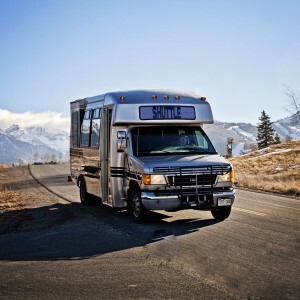 Telluride and Mountain Village will continue to operate and fund internal shuttle services within their respective communities. SMART Members or outside jurisdictions can contract with SMART to provide specific additional transit services, but they must provide the full funding to accommodate the service. Infrastructure such as pedestrian and bike trails that serve transit hubs and park and ride facilities are included under SMART. 08. How is the gondola addressed by SMART? Mountain Village has contractual requirements to fund operations of the gondola through December 31, 2027. SMART cannot assume any of the costs associated with operating the gondola at the required level of service prior to that date. Currently the towns of Telluride and Mountain Village contribute money for extra gondola operating hours during busy times of the year. These enhanced services can be funded on a case-by-case basis by SMART, if approved by the Board of Directors. A committee comprised of regional stakeholders and SMART will examine ways to fund gondola operations beyond 2027. We conducted a phone poll in late April with a third-party who asked questions about regional transportation. The feedback received will help us determine the best course of action as we develop meaningful transportation solutions for you and the community. This poll is on partnership with the Town of Mountain Village, Town of Telluride and San Miguel County. Representatives from Mountain Village, Telluride and San Miguel County meet on an as-needed basis.